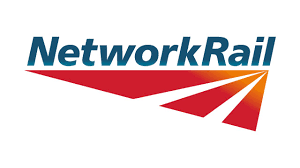 Network Rail will be holding a public drop-in event tomorrow, Tuesday 6th December 2016 in Queens Park Baptist Church Hall, 180 Queens Drive, Glasgow, G42 8QD from 3.30pm to 6.45pm. In attendance will be representatives from Network Rail and the Strathbungo Society, as well as their contractors, QTS, all of whom will be on hand to answer any questions or address any concerns you may have about this work. We would really value your input. If you are a Moray Place resident, consider bringing a photo if you have particular concerns over vegetation opposite your house. 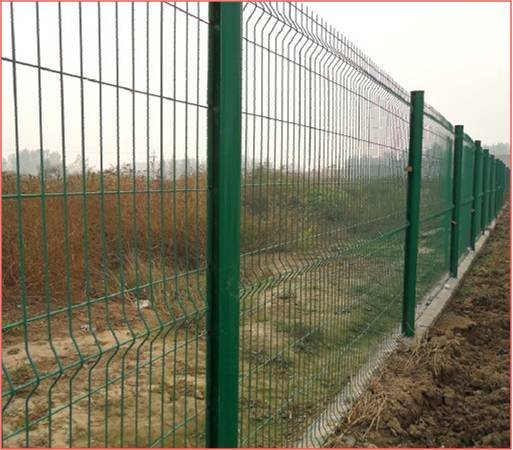 Network Rail’s New Fence – Coming Soon! Many will recall Network Rail’s intention to erect a high security fence along the edge of Moray Place, back in January 2015. Well after a lot of protest, historical research, and more latterly civilised discussion, with the assistance of the Strathbungo Society, Network Rail have a new proposal which appears much more sympathetic to affected residents. Attached below are a communication from the society, and a formal notification from Network Rail, delivered to Moray Place residents in the last week, setting out the plans, which are likely to go ahead in February. One major change is that the new fence will now be set back approx 5 feet from the road edge (in line with the wall at one end, and the post & wire fence at the other end, of Moray Place), but that there will be considerable loss of vegetation installing the fence, including the majority of trees. This will leave a strip of land that is part Network Rail, and part residents’ property, but which Network Rail are happy for us to cultivate, within reason. There seems to be a lot of interest in the latter, which the Society would be glad to facilitate, and we are already looking into possible options, and funding sources. However we need your help and suggestions, especially if you would like to get involved yourself. Suggestions so far include a continuous scheme the length of Moray Place, anything but a continuous scheme (! ), beech hedging, small trees such as Rowan, various shrubs, a seating area at the end of Marywood Square, and lovers’ seats; so one can watch the trains while their partner turns their back on them! February isn’t far away, so please get in touch. See the documents for contact details, or comment here. The Strathbungo Society has been seeking to positively influence our biggest neighbour – Network Rail – for the past two years. One issue has caused unnecessary uncertainty: what are the legal and ‘established’ boundaries along Moray Place? Network Rail didn’t seem to know, nor did we. So the Society’s Andrew Downie decided to do some research, looking at the original feu disposition between the original landowner and railway company as well as information from residents’ title deeds. His resulting report is the definitive guide to the legal and ‘established’ boundaries that have developed along Moray Place over the past 100 years or so. Andrew’s report has been shared with Network Rail who accept it in full. The report has aided the Society’s discussions with Network Rail as to where it can – and cannot – place any new fence. It’s not the answer to everything about Network Rail’s proposed fence, but it has certainly shed much-needed light on the where the legal and established boundaries lie. If you want to read it yourself, please do – click on the link below. A quick update on what is happening. Kevin Kane, Chair of The Strathbungo Society, wrote to Network Rail with a number of queries, and a request for a meeting. The following reply was received on 7 December. A date has not yet been set, but hopefully soon. We’ll keep you informed. Thank you for your email – yes I can confirm receipt of your previous correspondence. I have discussed this with colleagues on Friday and I will develop a response to the points raised. It would be most helpful if you could confirm if you are my main point of contact? I have received correspondence from a number of different residents on this matter and to progress discussions I think it would be beneficial if there was one central point of contact for the Strathbungo Society. We will of course respond to all queries raised however one point of contact representing the Strathbungo Society would be most helpful. In relation to the proposed meeting – which we are of course happy to attend –we feel that this should be focused on Moray Place and ensure a resolution on this matter before reviewing Darnley Road. If you would like to discuss any of these points further please let me know – happy to chat on the phone or over email. As you will appreciate we are very keen to find an appropriate solution to this fencing. The saga of Network Rail’s attempt to erect a prison style weldmesh security fence along the length of Moray Place continues. In September the Society wrote to Niamh Hegarty, Senior Public Affairs Manager at Network Rail Scotland, expressing two main concerns, firstly that security fencing was wholly inappropriate, being in a conservation area, and directly in front of residents’ homes, and secondly that Network Rail insisted the fence would be on their boundary, but that they didn’t know where that was. Their assumption that it is the bow topped metal fence on the kerb is, in our view, incorrect. We provided historical evidence to support this in our letter. The letter is included here for your information. 15 09 09 Network Rail Letter. Network Rail have finally replied, suggesting concessions on the design of the fence would be costly, and that they still intend to place the fence on the road edge. They claim to provide evidence to back this up, and are mildly threatening about residents’ counter claims, suggesting the residents’ official land registry entries are trumped by their in-house map. We, on the other hand, note the land registry entries are representative only, and the true boundary is set further back from the road in a single straight line. 15 11 06 Letter to Strathbungo Society. Click to read Network Rail’s reply. Their supporting evidence appears below. Strathbungo Disposition 1858. This 1858 Disposition describes the land they own, but contains little detail. This is an extract from the map in the disposition detailing their boundary in Strathbungo. Accurate, isn’t it? Compare with the maps in our letter above, which they have ignored. Network Rail Modern Map. This document was submitted to us earlier in the year showing Network Rail’s operational map shaded blue. The red boxes are land registry entries for the houses on Moray Place. They now submit it as their land claim, but note that it is their map, and not an official land registry excerpt. Network Rail have not specified the fencing they intend to use, not set a date for a future meeting. The Society will be meeting shortly to consider how we respond, and we will keep you informed. Happy reading. If you want to send private comment back to the Society, and / or want us to keep in touch, complete the form here. More general comments for the blog can go in the comments box further down. We are holding a Network Rail update meeting on Tuesday 2nd June 2015 7.30 – 8.30pm at McMillan’s on Pollokshaws Road. All welcome and as McMillan’s is a restaurant children are welcome too! At the Strathbungo Society Committee meeting on Tuesday 21st April 2015, it was agreed that the candidates, who are standing in the General Election, for Glasgow Central (our constituency) would be written to, asking them for their views, policy and support regarding the operation and accountability of Network Rail (NR). There is a regulatory body for NR: the Office for Rail and Road (ORR), which is a non-ministerial department of the Department for Transport. All the powers of ORR are derived from Parliament. However, its regulatory powers are limited to economic efficiencies and health and safety of the whole rail industry. ORR, like NR itself, is funded by taxpayers. Despite NR’s status as a Central Government body – it was re-classified in September 2014, adding some 34 billion to public sector debt in the process – it seems to operate like a private company, with, it seems, no direct accountability through its regulatory body, ORR at either Westminster or the Scottish Parliament. Network Rail have the power to cut down all the green corridors in the whole of this country, as well as the rest of the UK on the grounds of their duty to ensure safety – Their powers nationally seem to be without limit. This is not right. Other private companies like BT, Scottish Gas etc have regulatory bodies to temper their operation and to hold them accountable to government and the taxpayer. The candidates standing for our constituency have been written to today. A copy of the letter is attached and if any of you wish to contact the candidates yourself on this matter, please do so. There have been some developments since the last update at the Committee meeting on the 17th March and the dedicated update meeting on the 3rd March. 1. The reason that the fence is to be erected is to satisfy NR’s legal duty to ensure that no one can get onto the line. Their main worry at the moment seems to be that a child/children could get onto the line. The proximity of schools is a major factor in their risk assessment – which we got a copy of on the day of the site visit. The number of incidents of trespass is also pertinent to the level of risk assigned – but NR could not tell us what these were. 2. There is to be no fence erected on the Darnley Road side of the track. The stone wall is deemed to be an adequate barrier. We did point out that in fact it is easier to get onto the line on that side, as the wall at points is very low and of course there is the low gate and steps that NR so handily installed! 3. The intention is to remove the wooden fencing from where it begins at the end of the stone wall approximately opposite Number 7/8 Moray Place. They are going to replace the gate giving access to the line at this point, too. Then NR intend to install the 1.8m weldmesh fence from that point all the way along Moray Place, removing vegetation as necessary to do so. The fence will abut each side of the pedestrian bridge. 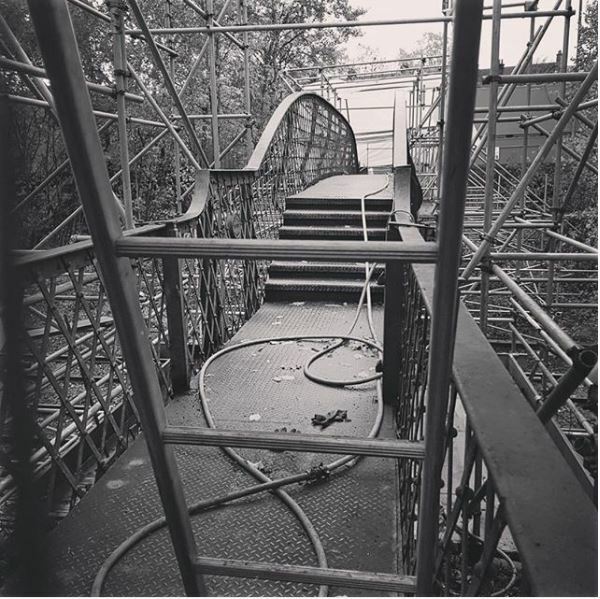 It was pointed out that this would undoubtedly make it very easy for anyone who wanted access to the line, as the construction of the bridge side panels make very convenient footholds. 4. NR were clear that the fence would run along their boundary line, though they were unable to clarify exactly where that is! A map was produced with a line drawn along it, but it was completely inadequate in showing the level of detail we would want. Indeed, it didn’t show anything at all! It was pointed out that the issue of the boundary is crucial, as any fence they intend to erect, could compromise the property rights of those who live opposite the line. 5. NR do not intend to remove the black, hooped topped fence that runs on the road edge from the pedestrian footbridge to approximately number 50 Moray Place. They intend to erect any new fencing about three feet in from it towards the rail line. It was pointed out that the installation of any new fencing along this stretch would lead inevitably to the removal of most, if not all of the vegetation. NR claim that this is not the case and they only intend to ‘prune’ as necessary to allow the installation of any new fencing and perhaps move the fence closer or further away to accommodate some trees. 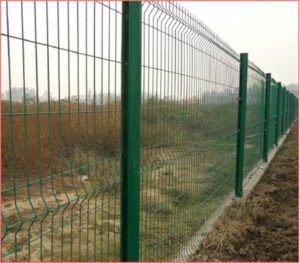 Apart from not being convinced that the installation of a 1.8m high fence in such a position would only require the ‘pruning’ of existing trees and vegetation, it was noted to them that this would have implications for property and boundary rights, as well as vegetation management. NR noted that they do not intend to repair or maintain the black, hooped top fence. 6. There was no clarity on vegetation removal, other than what has been noted in 5. above. They did note that if any vegetation (which of course includes all the trees along Moray Place) is removed, they have no plans for re-planting. They also noted that there are no dead or diseased trees identified for removal, but two trees would be removed to allow the fence to go in. A private contractor is to do any removal work, though we do not know which one. NR also noted that they have applied for a road closure to do the work, though they are not planning to do anything before the Autumn. NR were resistant to alternative siting of any fence i.e. closer to the line, where it would be less visually intrusive and which would not require the removal of as much vegetation. I must say that Anas Sarwar tried hard to persuade them of this course of action! But they insisted that the fence should run along their boundary line. They were also not persuaded about planting suitable species to form a vegetation barrier all along Moray Place, even though it was pointed out to them that their website notes this as a viable and acceptable type of barrier! However, they did note that a lower fence (1.4m) could be put in and/or a different type – palisade. The representatives from NR who attended the site visit were: John Duncan, Area Manager, Lindsay Sadler, Area Director and Niamh Heggarty, Customer Relations. A. A precise and detailed map, showing exactly where their boundary line is and their legal title to this boundary. B. The number of incidents of trespass there have been on the line and when and where on the line these have occurred. A further meeting is to be arranged for June, the date of which is to be confirmed. We have insisted that nothing should be done until the issue of the boundary is clarified and also that they should work closely with ourselves (i.e. consult with us) to find a way to satisfy their legal duty to ensure the safety of the line and the need to honour environmental and conservation principles, policies and law, which we and other communities along the length of the railway line also need to have upheld. Many thanks to Ann and Andrew Downie who set up and ran a stall at our Spring Fling event yesterday on the NR proposals and gave out information on where we are at present and how you can help your community by being involved. 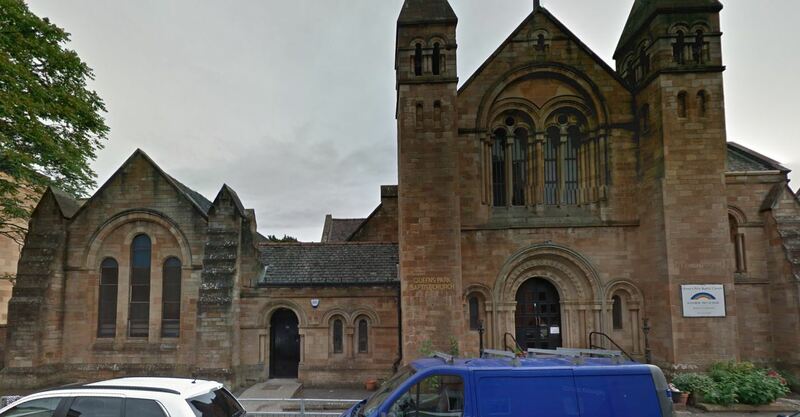 Hope you can make the update meeting on Tuesday 31st March 2015 7.30pm – 8.30pm at McMillan’s, corner of Pollokshaws Road/Titwood Road, to hear more. A huge ‘thank you’ to all of you who are doing various tasks related to this. See you Tuesday! We will be holding another update meeting re Network Rail on Tuesday 3rd March 2015, 7.30 – 8.30pm at McMillan’s (corner of Titwood Road and Pollokshaws Road). If you haven’t been before and want to be involved, please feel free to come along. Look forward to seeing you next week and many thanks to those of you who have done so much work already!